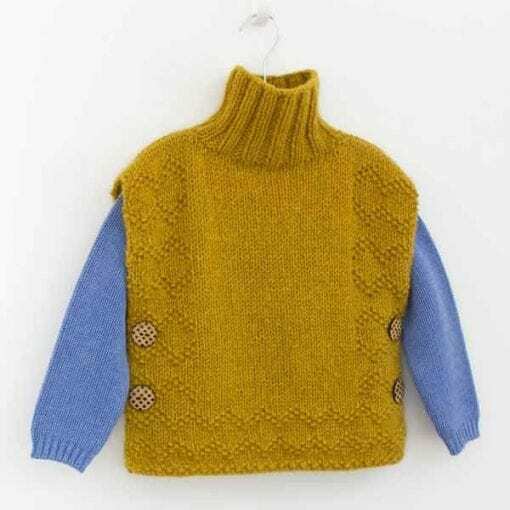 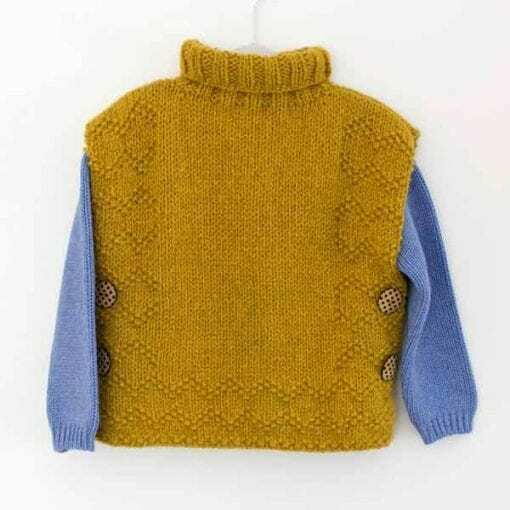 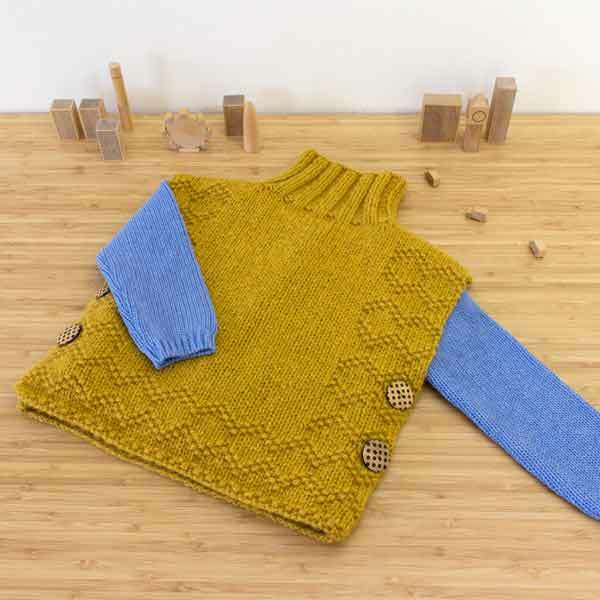 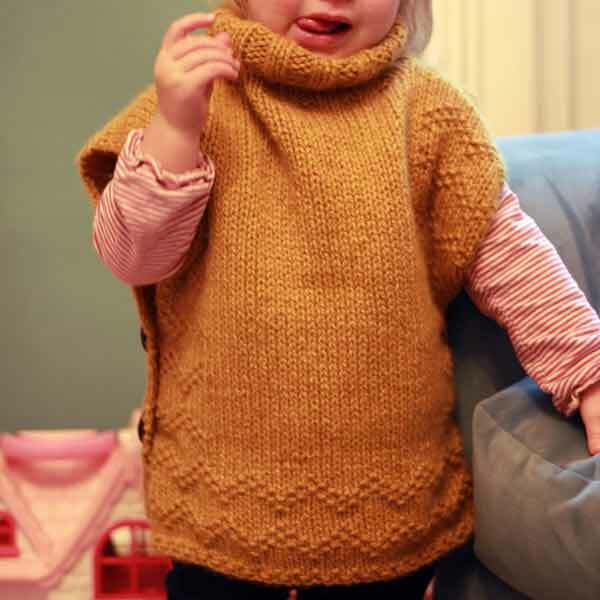 A pure cashmere poncho for kids, created by Anna Ravenscroft for Luxury Yarns, using Altopiano. This turtle neck poncho worked in the amazingly soft Altopiano highland yarn is a perfect choice to keep children warm and happy through any weather. 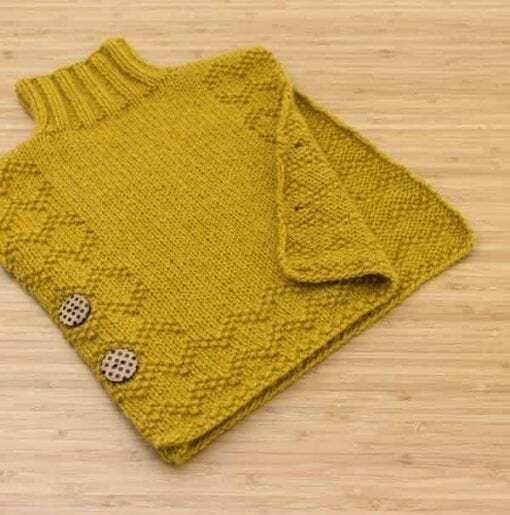 The body has a zigzag moss stitch border, which helps the fabric lay flat and features big buttons to close it up on either side. 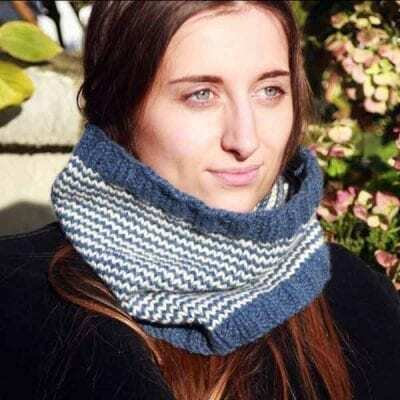 The roll neck can either be worn up for extra warmth or rolled down for different look. Knitted with a beautifully soft cashmere yarn this really is the perfect winter warmer – quick to slip on and off to keep little ones cosy.